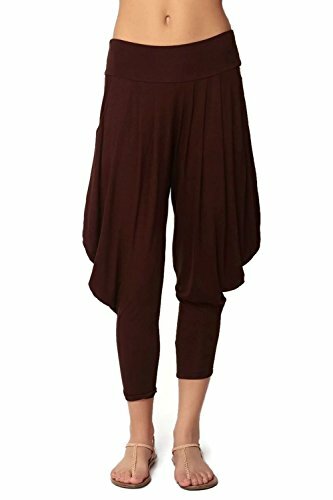 Easily able to transition from day-to-night wear, these brown harem pants combine the comfort and functionality of leggings with loose, dramatic style. Tapered at the ankles and made with the perfect blend of stretch, it's a show-stopping silhouette created for trend-driven fashion mavens. * Please check images for sizing chart. If you have any questions about this product by SimplicitieUSA, contact us by completing and submitting the form below. If you are looking for a specif part number, please include it with your message.